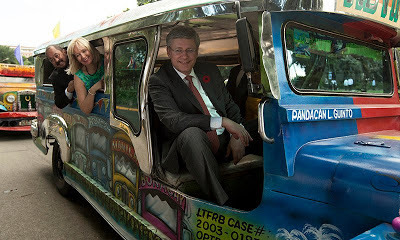 PM Harper in Manila | Manila Jeepney Ride - Gateway to Canada | Canada Immigration Consultancy! Canada's Prime Minister Stephen Harper was in the Philippines last week for an official visit. He was given a tour of Manila's Fort Santiago. He was also welcomed with a protest against Canadian mining corporations in the Philippines.